Soft tape adheres to the underside of furniture rocker frames to protect delicate floor surfaces. 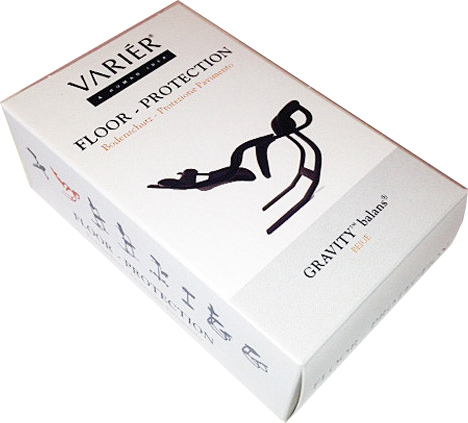 Recommended for chairs that will be used on wood floors or other hard surfaces. Available in beige for natural wood finish or black for black lacquered frame. Compatible with rocker-bottom Balans chairs from Varier, including the Variable Balans, Thatsit, Pendulum, and Actulum.